Walter Martin Ministries focuses on evangelism and education based on the teachings of Dr. Walter Martin, the Original Bible Answer Man. We hope to provide answers to those searching for spiritual direction in their lives, as well as encourage and educate Christians to stand up for their faith. On April 19, 2010, the Federal Communications Commission (FCC) granted Religious Information Network, an umbrella non-profit that includes Walter Martin Ministries, a full power FM Radio Station serving Newport, Minnesota (just outside St. Paul) and covering the Minneapolis-St. Paul Market--88.1 WAJC-FM! This is the #16 Radio Market in the United States—and Minneapolis is one of the top 50 cities in America. Jill Martin Rische is Dr. Walter Martin's eldest daughter. She received her B.A. in Biblical Literature with an emphasis on the Old Testament and the Hebrew Language from Oral Roberts University, and her M.A. in Humanities/History from California State University. Jill is a regular on KKLA's Frank Pastore Show (the #1 Christian talk radio show in America), the co-author of The Kingdom of the Occult (Thomas Nelson), along with her father and Christian Apologist, Kurt Van Gorden, and author of Jack Star and the Secret Door, and Through the Windows of Heaven, 100 Powerful Stories and Teachings from Walter Martin, the Original Bible Answer Man. Kevin and Jill are also the Managing Editors on Walter Martin's 45 year bestseller, The Kingdom of the Cults. Kevin Rische received his B.A. in Organizational Behavior from Concordia University, St. Paul, Minnesota. He worked for ten years as a sales/marketing representative, managing a five state, multi-million dollar territory for a national distributor before founding Walter Martin Ministries. Kevin is responsible for conserving and redigitalizing hundreds of Walter Martin audios and videos. 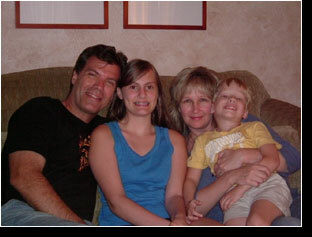 Kevin and Jill live in St. Paul, Minnesota with their daughter Christina, and son Justin. Walter Martin Ministries has grown steadily since it was first founded in 1998 and today, the WMM site draws millions of hits-and Dr. Martin is heard across the United States and around the world. In addition to this, Library Journal recently listed The Kingdom of the Cults as #3 on their "Books in demand from Libraries and Bookstores" list (on the Occult)--forty-five years and still going strong! We are so grateful to everyone involved in supporting this ministry. Thank you!